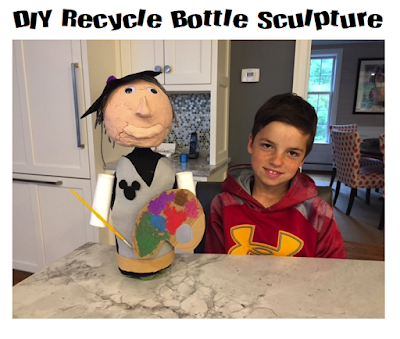 When Chris had to do extra credit for his book report of Walt Disney, he chose to make a recycle DIY bottle sculpture craft of him, here's how! 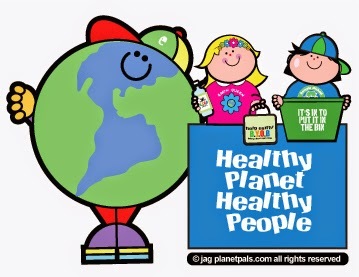 Christopher's elementary class project was to read a book from the WHO WAS Series of biography books for kids. Each child chose to read a different book and was encouraged, as extra credit, to make an image of the person they read about. 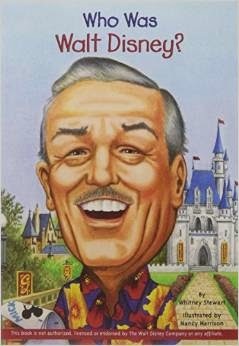 The book Christopher chose to read and illustrate for his report was "WHO WAS Walt Disney". Since Christopher chose Walt Disney, he made an image of Walt for the extra credit. We are glad he went the extra mile! WHO WAS Series of Biography books for kids. 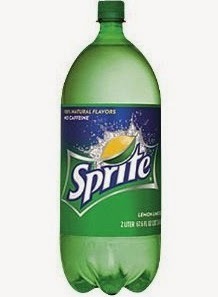 Given suggestions by the teacher, one of the project choices was to use a soda bottle. He started with a large 2 liter Soda Bottle, which he filled with some sand to make it stable. He covered a foam ball with clay for the head and mustache. We suggest if you make one, you use DIY LINT Clay. Plus he added yarn scraps for hair, eyes and an arty outfit! The finished sculpture of Walt Disney! Great Job Chris! Clever and creative just like Walt. 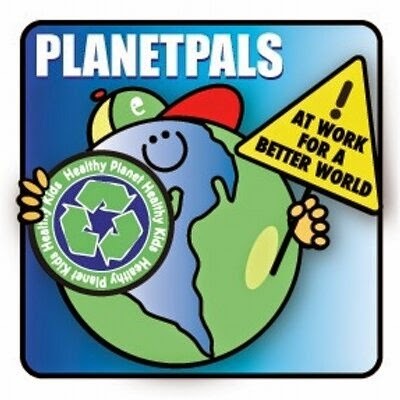 Not only did Chris learn about one of the most visionary people of the world, he leaned how to upcycle and get crafty, like a Planetpal! 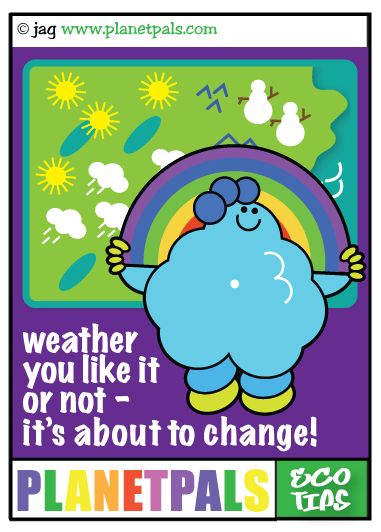 Happy National Weather Observers Day. Recycling Legos - What a great idea! When we heard about Pley we were so excited! What a great idea to recycle Legos because there are so many sets and pieces that can accumulate! 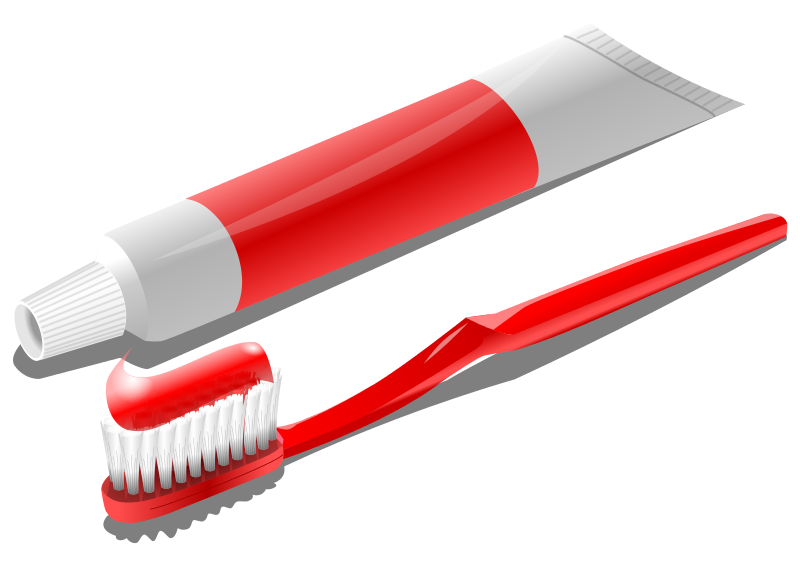 This idea was not only Earth friendly, but cost saving, because conceivably, you could get about 3-4 sets a month. 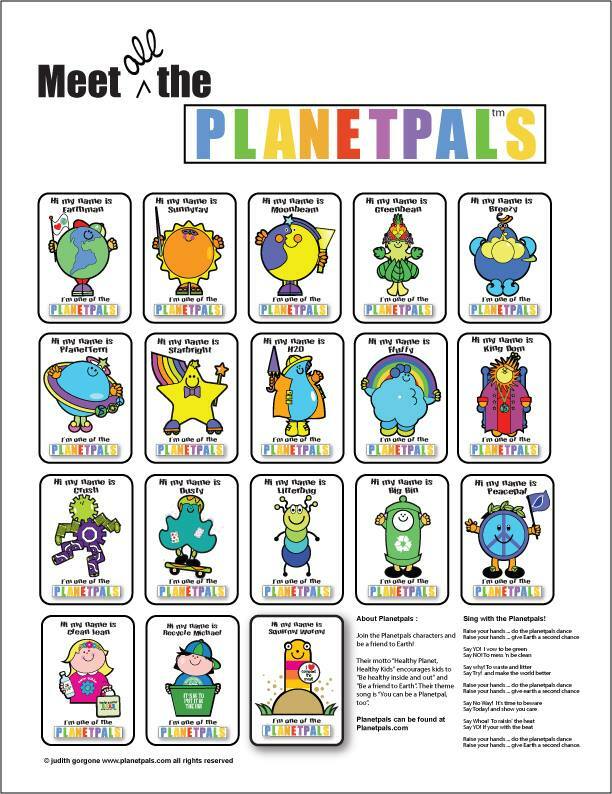 Being Planetpals, it was a perfect idea for our Grandchildren. A lesson on recycling. So, for an upcoming Birthday we ordered a subscription. You can imagine how excited my Grandson was that he had all those Legos coming. He couldn't wait! Wait he did, many months. Because that first anticipated set did not arrive. So, I called the company. I couldn't reach a human being. Simultaneously, I emailed them. I got an email advising me that there was a big Christmas backlog (his birthday was early November) and that they would be sending a set as soon as possible and giving me a credit for that first free month. The set finally came, two months late. My grandson made it as soon as he could, then sent it back to get another set. Well, the second set never arrived. Not for Christmas, not for New Years. When I contacted them again, I asked to stop my subscription. I told them that my grandson was experiencing too much disappointment because he was waiting and the sets were not coming, and that was not how I wanted a gift from me to be. Another disappointing thing was the email i received back. Pley told me that I would have to continue to pay my subscription because there was no way out, and if I didn't want my grandson to continue with the subscription, I could transfer to some other kid. What? So, I called the credit card company and put a block on Pley because they refused to cancel it. They did and told me I will be given a complete credit. Whew. Next billing cycle. I receive one credit, and one charge. Upon calling the credit card company, I am told that Pley contested the subsequent refund! For us Pley was a "No More Play"
We no longer wait for Pley to arrive, but I have since read many reviews and many comments on blogs. Many parents, like us, not only thought Pley was a good recycling idea, but the idea of getting several sets a months for one fee appealed to many, too. But that is not the case when sets were not delivered on timely manner or at all, and in many cases parts were missing once or more than once. Those that contacted PLEY often received the same responses we did and a non concern from the company. If you are like us and love the idea of recycling Legos and giving them extended life, but don't want to get into a negative and costly situation, perhaps you can start a Legos swap group among friends and neighbors or even at school. 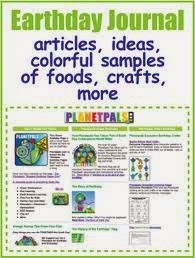 If you don't want to keep all those sets around, donate them to a school or organization when you are finished with them. You can achieve the same thing. Here's how to have a swap. Why not re-use those Legos for other things! 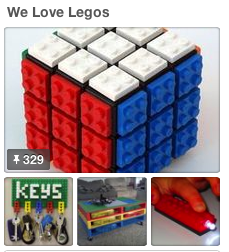 Our Legos board on Pinterest is chock full of great ideas (over 300 of them!) for all those lego parts. 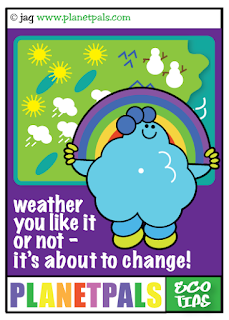 Check them out…But beware: your kids will have to use their imagination! 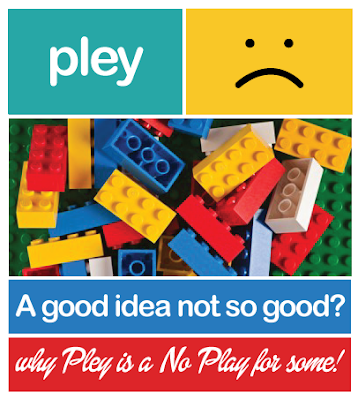 Labels: Is Pley a good idea? 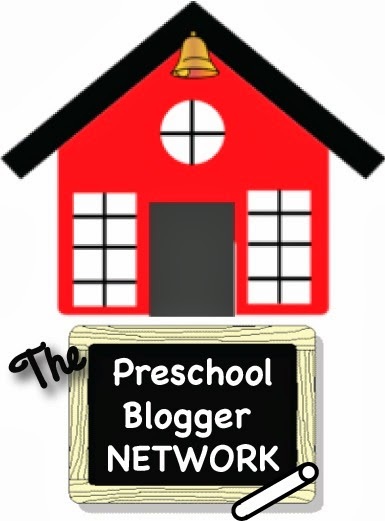 , lego subscription service , Pley Lego rental review , Pley mail order lego service , Pley problems , pley subscription , should i get a pley subscription? May it be the FULL MOON! The moon has been given names from different peoples based on the calendar and their culture for centuries! 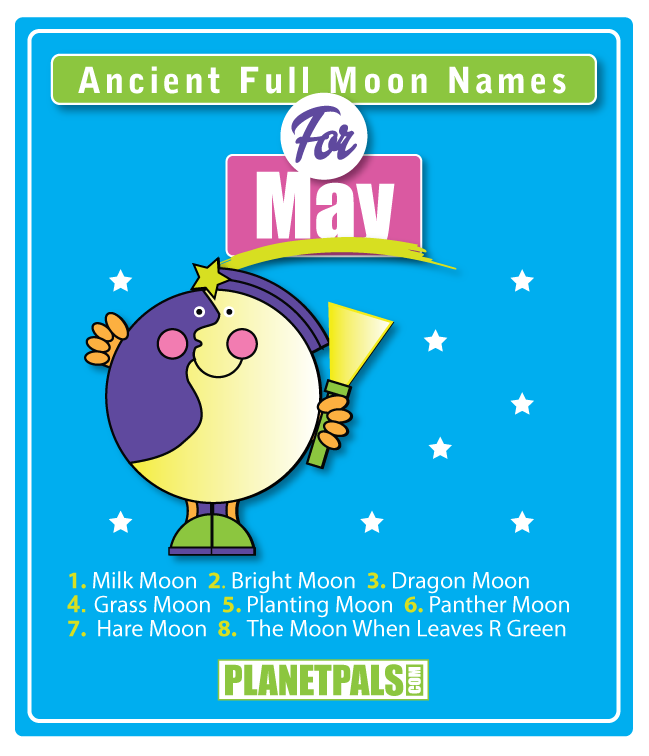 Some of May moon names are: The Milk Moon, Bright Moon, Hare Moon, Grass Moon, Planting Moon, Panther Moon, Dragon Moon and the Moon When Leaves Are Green. 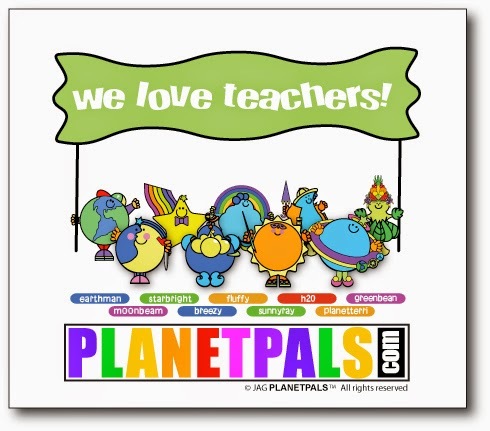 The full moon for this May occurs on Monday, May 4th at 3:42am Universal Time (11:42pm on May 3rd in Eastern Time). On Sunday night, this Full Moon will be at 13 degrees and 23 minutes of Scorpio opposed the Sun in Taurus. 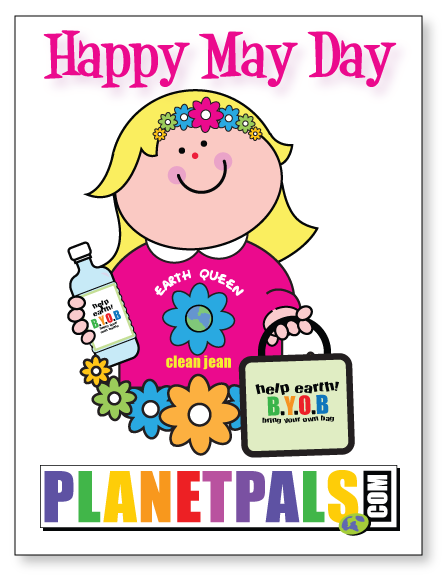 It's May and there are lot's of ways to help this beautiful Earth! 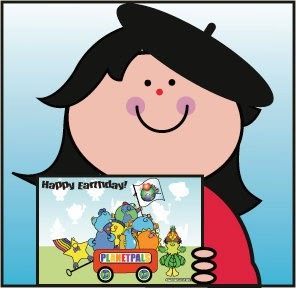 Labels: happy may day card , may day , may first.